AX03. 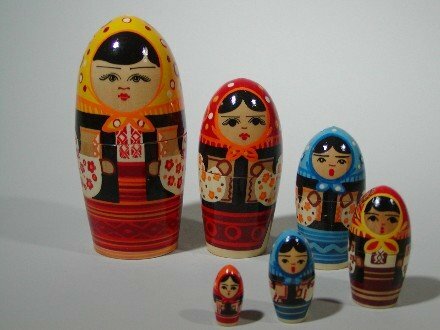 Ukrainian Conical Maiden 6n 6.75"
This set of Conical Maidens is in very nice condition. There is some slight crazing on the outer doll, but no chips. This set has a white Made in USSR label on the bottom.